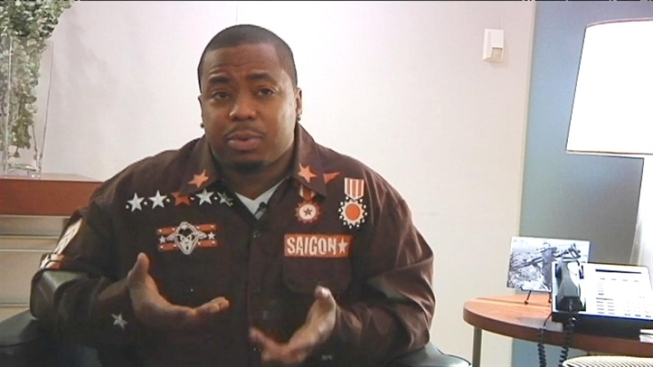 Saigon sat down with Nonstop Sound recently and opened up about his struggles over the past few years, including the story of when he was robbed by one of his own family members. He says when he hit a low point, he almost gave up on making music. "I was like, 'You know what, forget this,' I was looking at it like, 'You know what, I'm just going to do what I know best, which is running the street and doing negative stuff," he told us. "But then something just came to me and I was like, 'Man you came too far for this, you gotta keep going.'" The release of his album, The Greatest Story Never Told, is a sort of rebirth for him, he says. “This is another chance at life to me,” he said. By most definitions Saigon is a rap veteran. He’s released multiple albums and has recorded music for the better part of a decade. However, some of it feels new to him. He says Atlantic Records made him take a five-year forced hiatus – a period he calls the darkest time in his life. Saigon recalled how his mother died and his sister almost went to jail. But he said he really hit the bottom when he was robbed at gunpoint. "They had about eight dudes waiting for me there. They had guns to my head and they took everything," he said. He says it’s his way of showing how one can succeed through hardship. "I'm an example of perseverance and persistence," he said, "how you can get somewhere if you work hard and if you stick to your beliefs and what you believe."